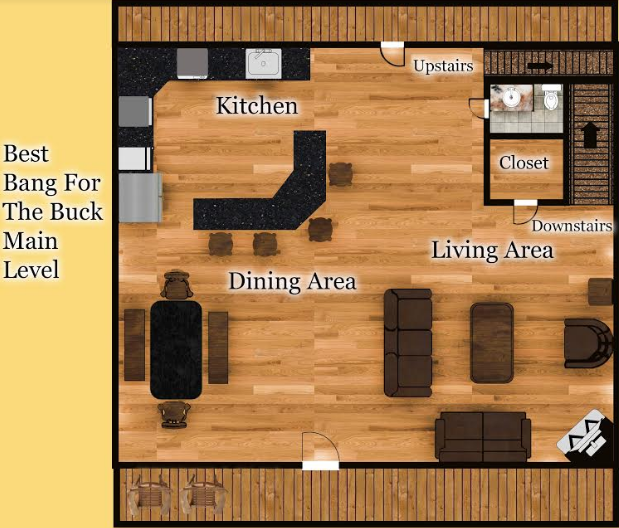 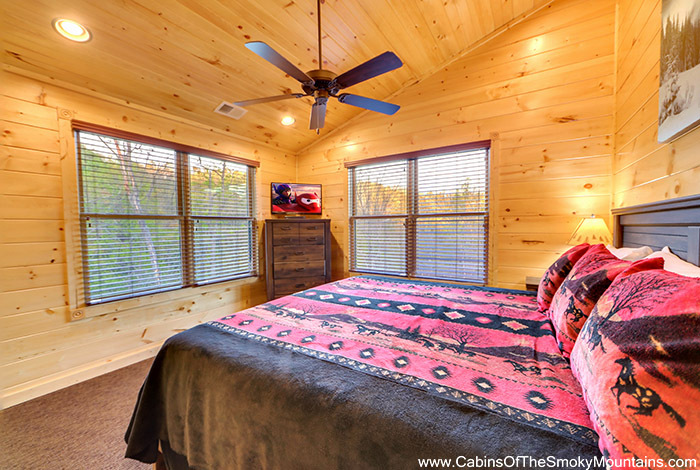 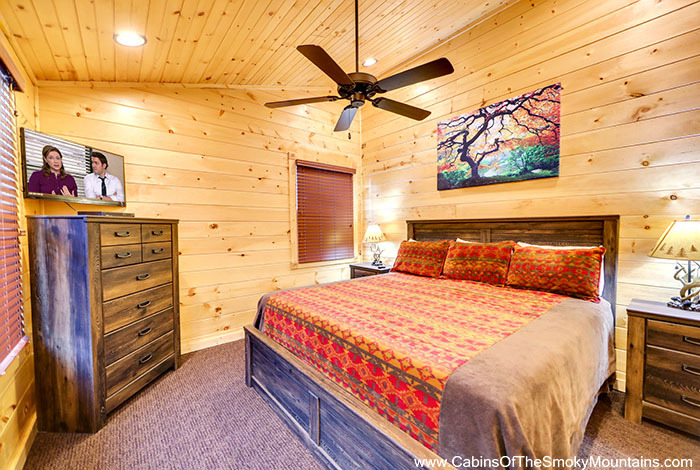 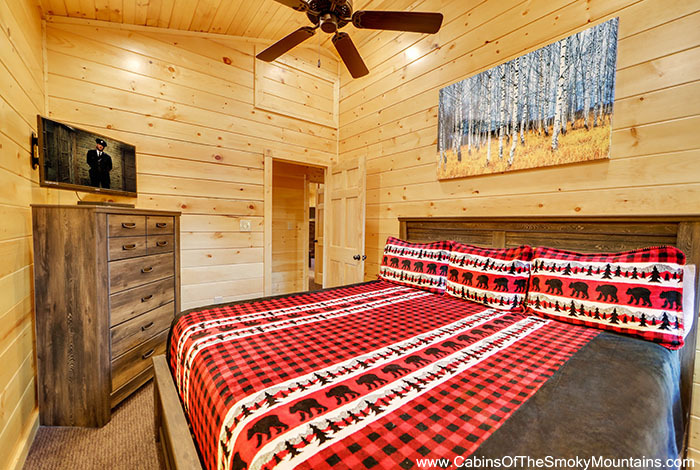 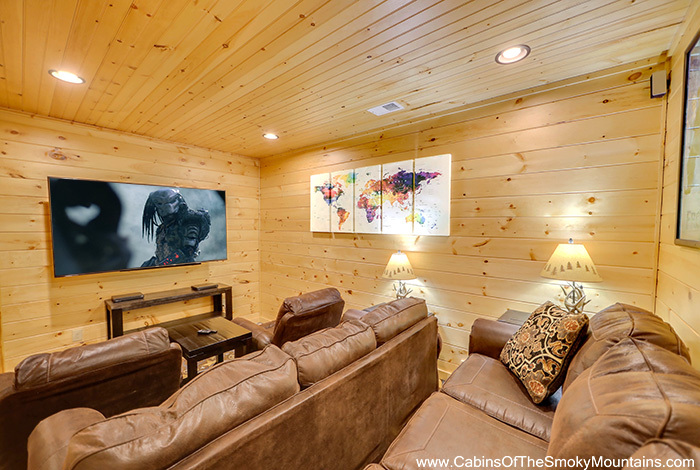 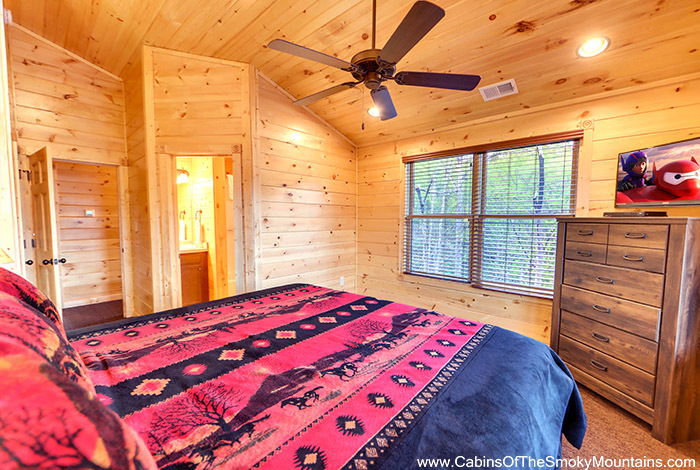 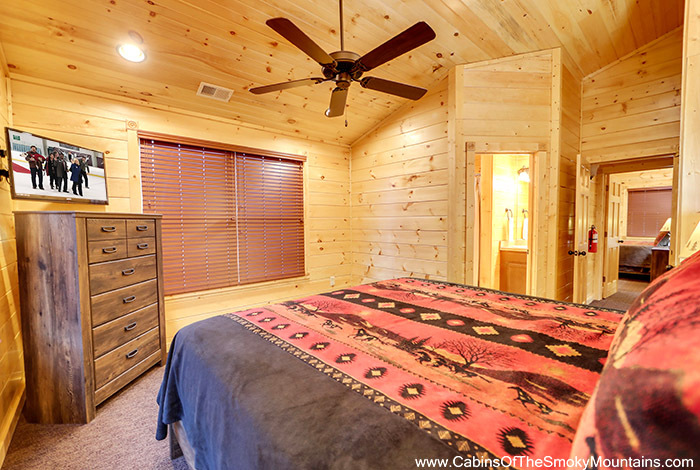 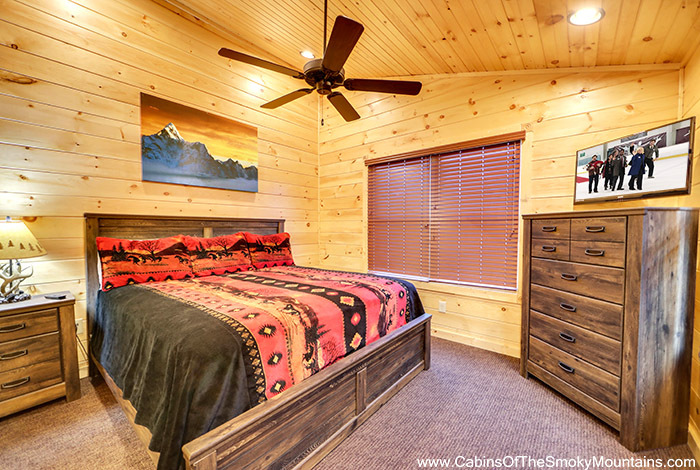 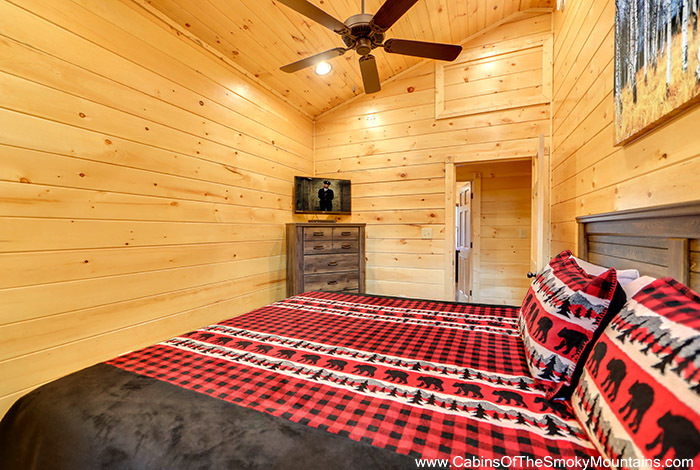 Enjoy top of the mountain dreams at Best Bang for the Buck, one of the newest four bedroom luxury cabins at Gatlinburg Falls Resort. 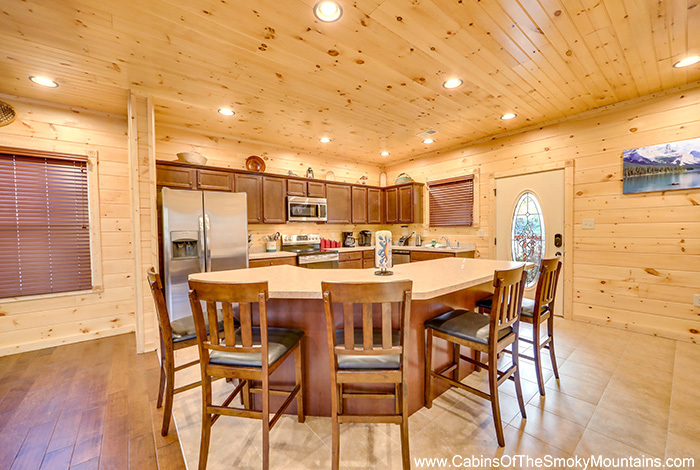 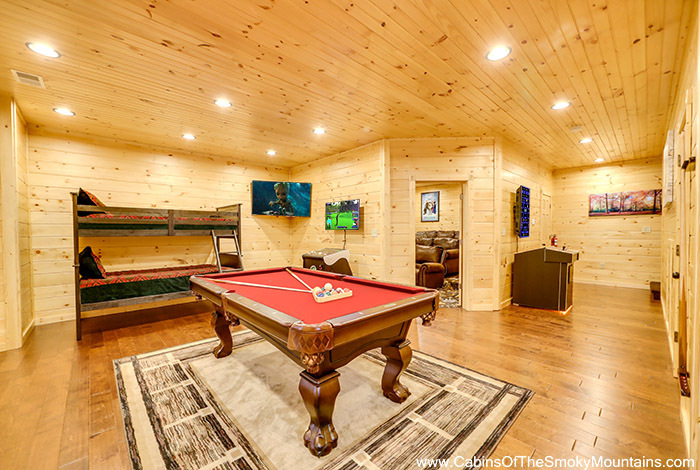 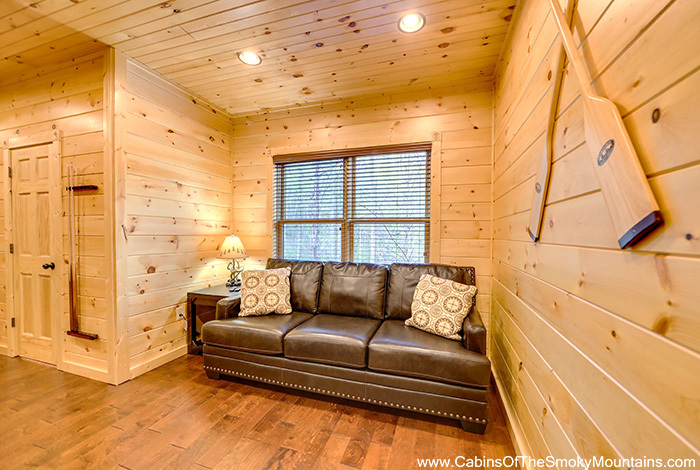 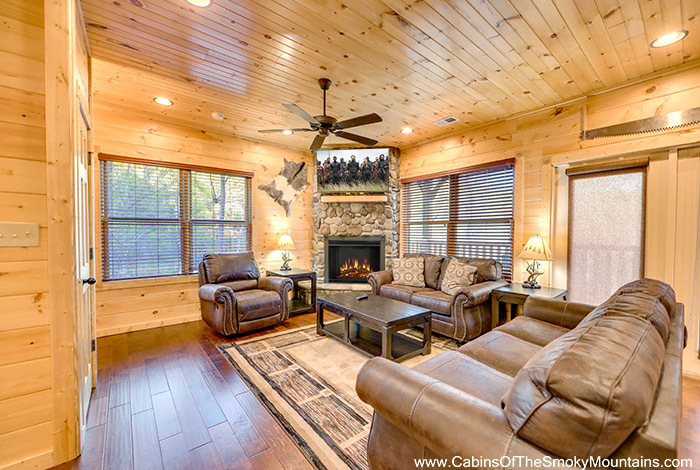 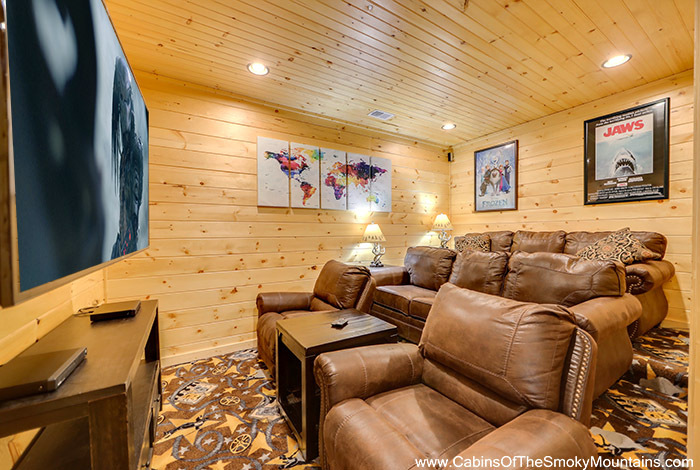 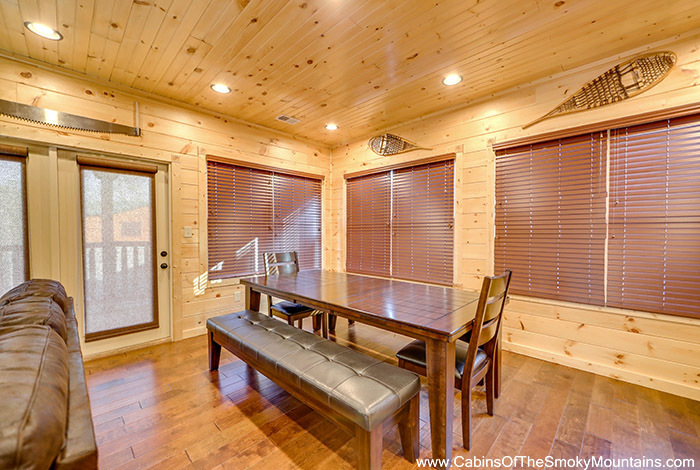 A big Gatlinburg cabin with big amenities. 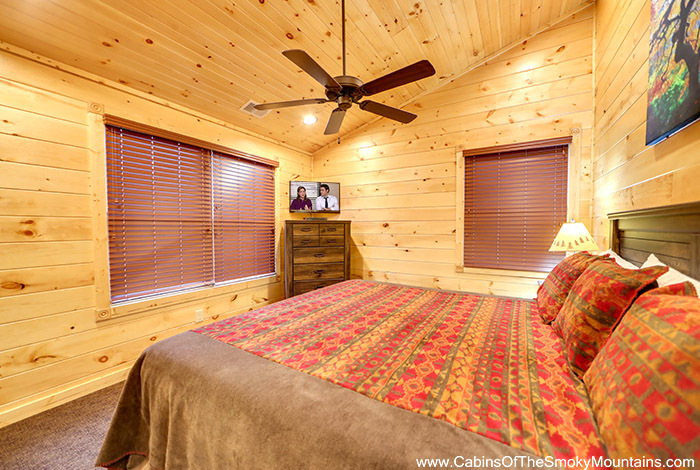 For starters, Best Bang for the Buck offers four full bathrooms and not one but four master suites all with King beds and outfitted with cable TV with DVD for maximum comfort. 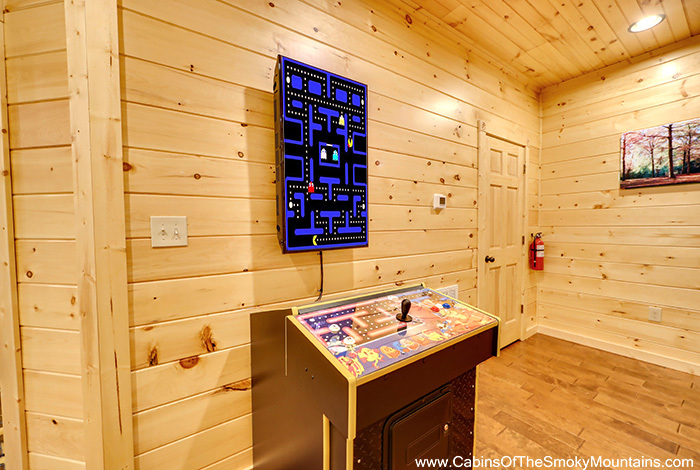 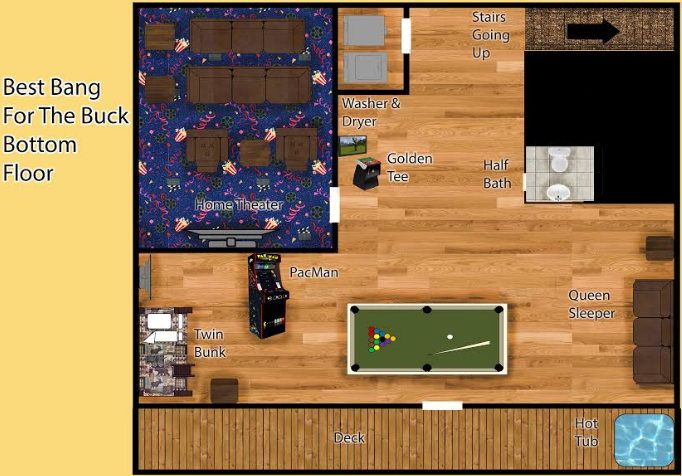 For gaming, you can try your luck with Pool, Golden Tee, and Ms. Pac Man/Galaga. 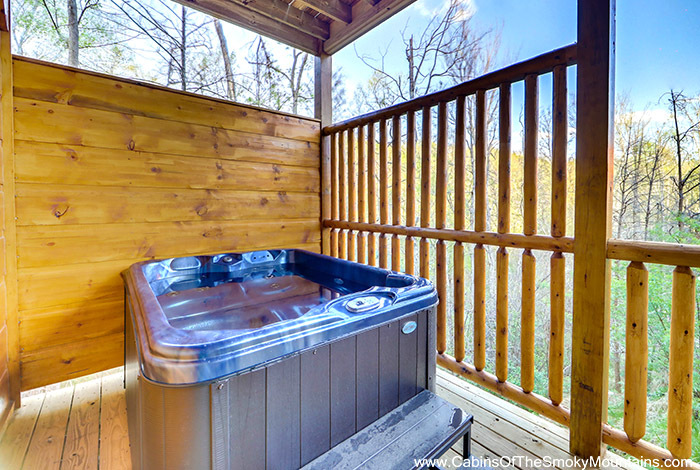 And for those who simply want to quietly relax, there's always the hot tub and a deck full of rockers. 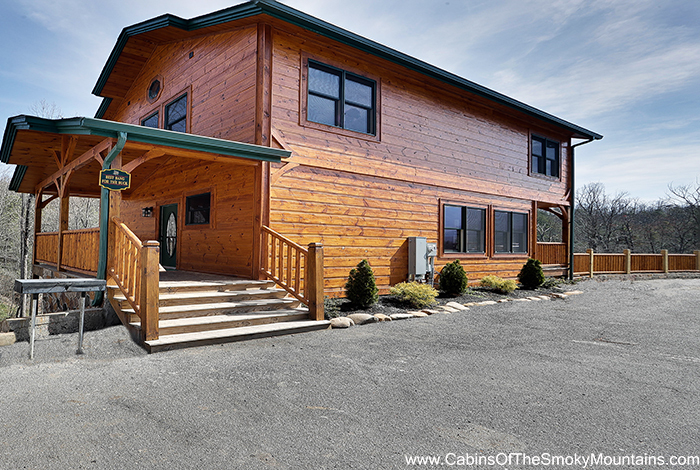 Located just a moment or two from downtown Gatlinburg and the Great Smoky Mountains National Park. 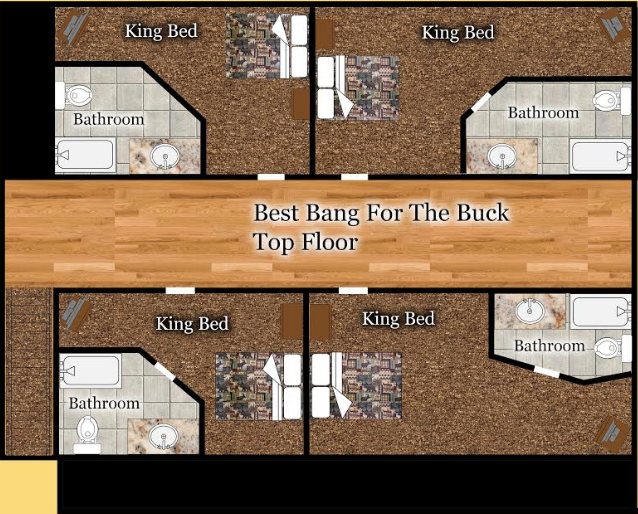 Remember Best Bang for the Buck for big time fun in the Smokies.